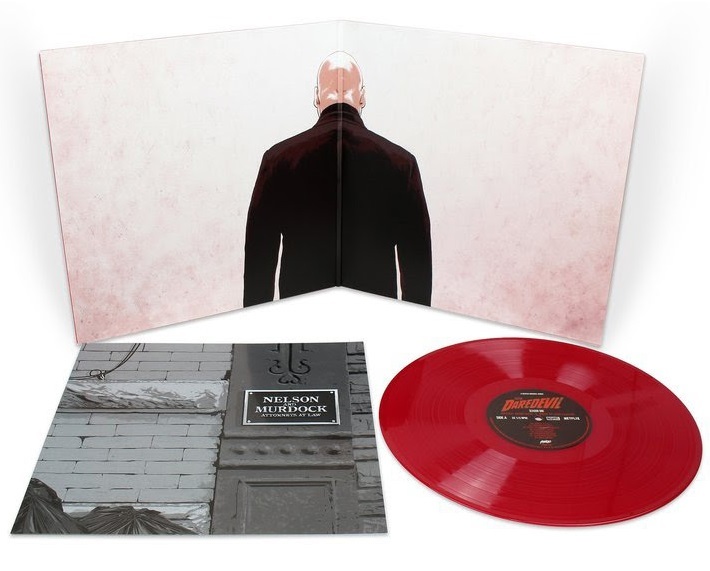 Following the release of Marvel’s Luke Cage Netflix series season 1 soundtrack on vinyl a few weeks ago, Mondo is now releasing the soundtracks for season 1 of Marvel’s Daredevil and Jessica Jones Netflix series on vinyl as well with matching cover artwork by Matthew Woodson! These designs by Woodson are fantastic and The Blot would love to see their striking images released as standalone screen prints. Both LPs go on sale at noon CST this Wednesday, November 9th, at the Mondo online store. Marvel’s Daredevil Season One Original Soundtrack LP ($25) with music by John Paesano and artwork by Matthew Woodson is pressed on 180 gram red vinyl and limited to 3,000 copies. John Paesano's score for Marvel’s Daredevil Season One had the unenviable task of setting the tone for Netflix’ new Marvel television universe. Right from the opening credits Paesano creates a powerful sense of urgency and an undercurrent of darkness, crafting some of the most kinetic musical sequences in the Marvel Cinematic Universe including the bombastic tracks “Hallway Fight” and “Stick”. Marvel’s Jessica Jones Season One Original Soundtrack 2xLP ($35) with music by Sean Callery and artwork by Matthew Woodson is pressed on two 180 gram purple vinyl records and limited to 3,000 copies. 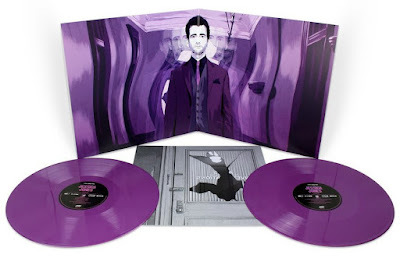 Sean Callery's score for Marvel’s Jessica Jones Season One took the tonal shift from gritty ground level action to noir. Everything you need to know can be found in “Jessica Jones Main Title” (the 2016 Emmy Award winner for Outstanding Original Main Title Theme Music) with its mix of late night, street corner Jazz consumed by pulsating rhythms and a wailing guitar that creates a musical dichotomy thematically appropriate to the narrative of our titular hero.